Discover all the latest news from Adam Knibb Architects. Don't forget to add studio@adamknibbarchitects.com to your contacts to make sure you receive our updates. 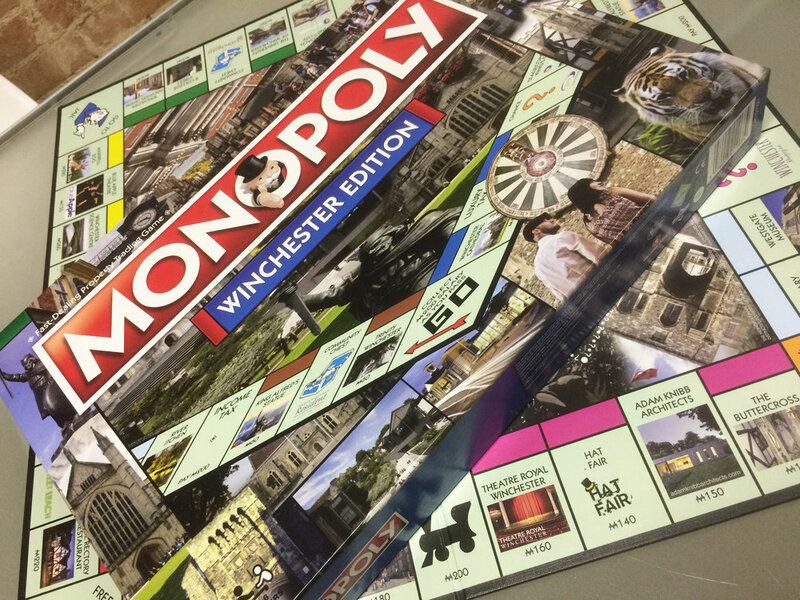 Extremely excited to announce that we have been featured on the Winchester Monopoly board, we've had lots of positive feedback and the board seems to be going down well with everyone in Winchester. Very excited to be part of the Sunday Times British Homes awards and we are honoured that Hurdle House has received so much positive recognition. The Archiboo awards was a great evening! Even featured an interesting tour around the new White Collar Factory, which even had a running track on the roof. In collaboration with our neighbours, Summit Digital, we were nominated for our SVG line art on our website, which you can see whilst you waiting for each project on our portfolio to load up. We believe this has improved each visitor's experience when viewing our website, providing a little excitement and hopefully making them want to find out more about our work. KICKING OFF THE AWARDS SEASON . . .
We are delighted to have been nominated for the #AJRetrofit Awards for our Hurdle House project. Congratulations to the other finalists. We are excited to welcome Huan into our team, who recently graduated from his Part 1 studies at the Welsh School of Architecture in Cardiff, in 2016. Since then he has worked at a residential architecture firm based in Wimbledon. Huan is looking forward to working in a young contemporary practice, and gaining new skills and experiences that could contribute within the AKA office and when he continues his architectural education. We are delighted to have been nominated for the #AJRetrofit Awards with our Hurdle House project! Congratulations to the other finalists, we will see you in September! We are honoured to have been nominated for the Structural Timber Awards in the Architect of the Year category. We have entered the awards with our Hurdle House project and we are happy for the continuous recognition. We can't wait to hear the final results! Our Buchanan House project has been featured on the Architects' Journal! We are very happy for the recognition and can't wait to see it built. Click on the image to go directly to the article. We are delighted to announce that we have been granted a planning permission for our Water Nest project! The design includes extension to the existing house and a new pool house. We are very excited to work further on this project and will keep you updated with progress. Full video of our Hurdle House project and testimonial. House looks awesome #glass #timber #hurdlehouse #oldsheepbarn #alresford #drone. Massive thanks @bulletmediatv . Hope you like it!